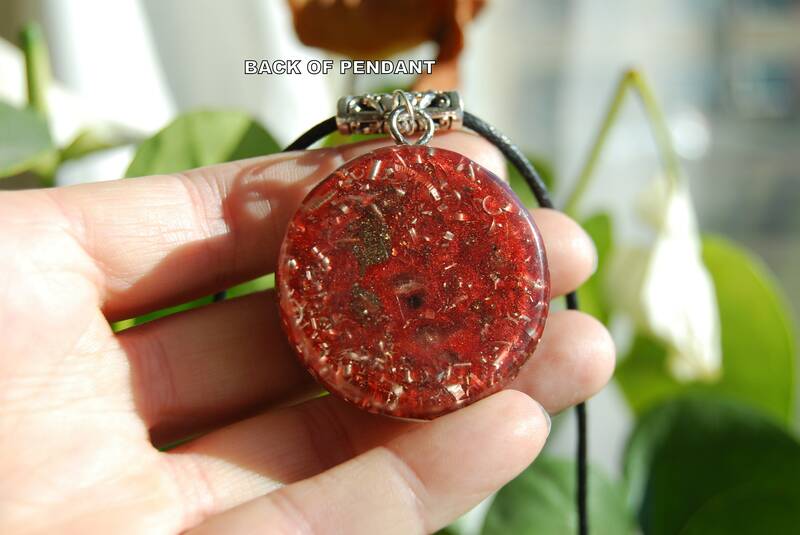 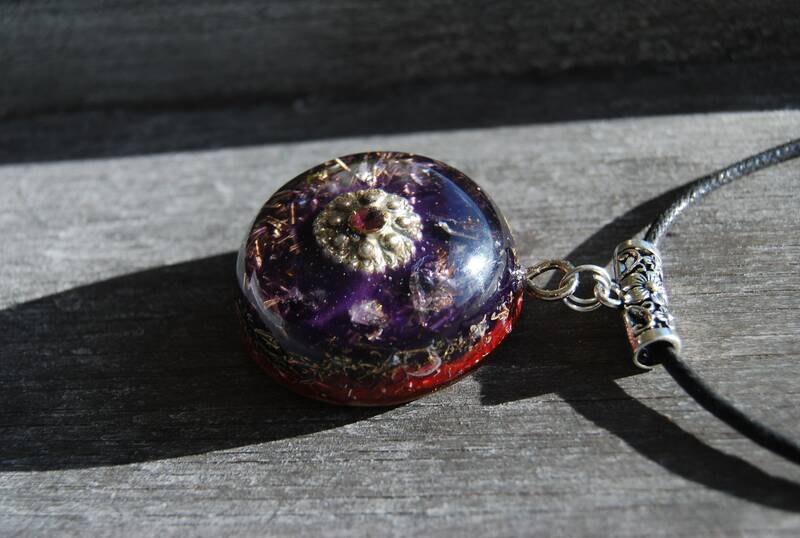 This sparkly 4.2 cm / 1.57" in diameter Orgonite® pendant contains aluminium, brass, bronze and copper shavings. 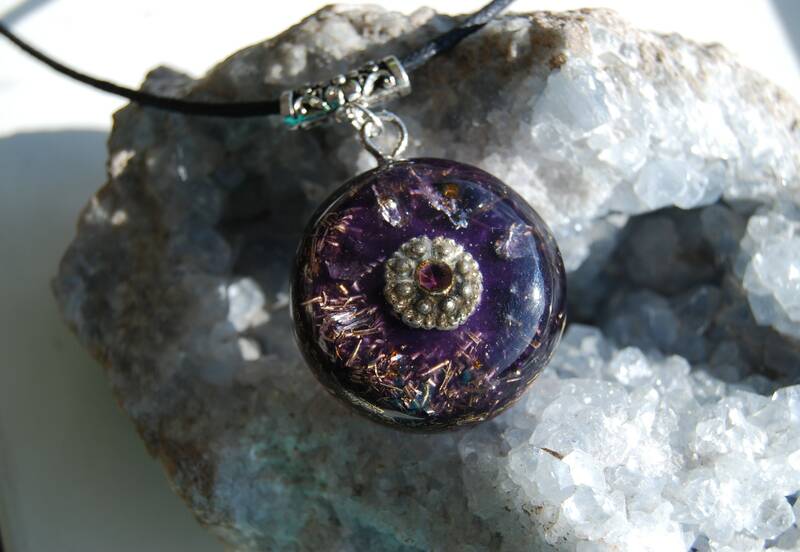 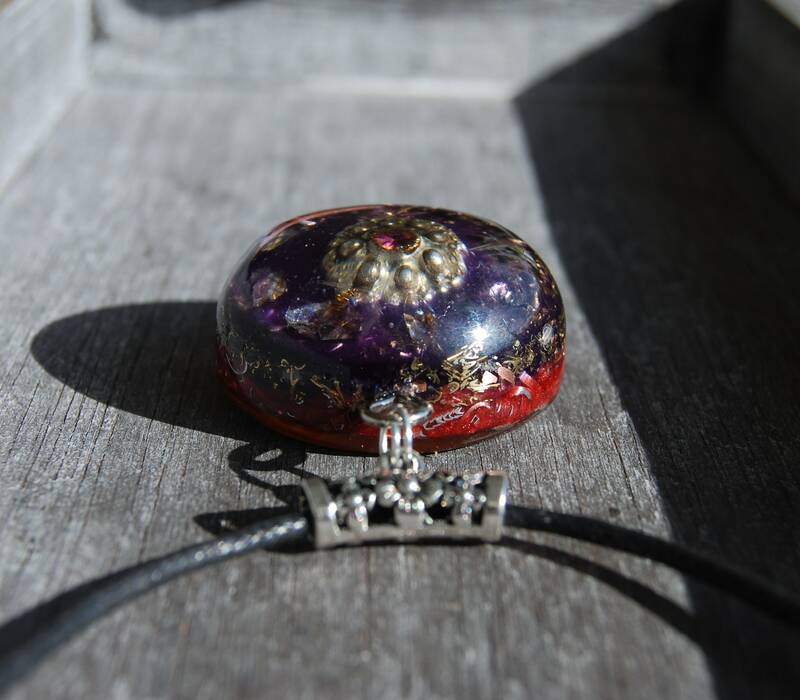 It also contains Amethyst Crystal points, Pyrite (to enhance and protect), black Tourmaline (to protect and ground excess energy) ,Rhodizite (to enhance) and clear quartz (for piezo-electric effect) all within a durable resin setting. 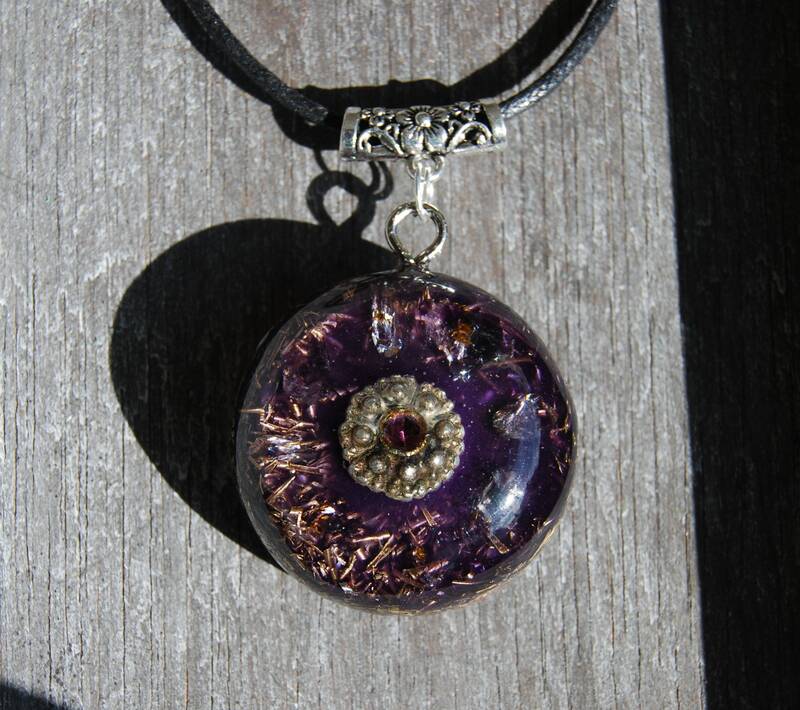 Amethyst is a powerful and protective crystal, and is a first choice of many metaphysicians. 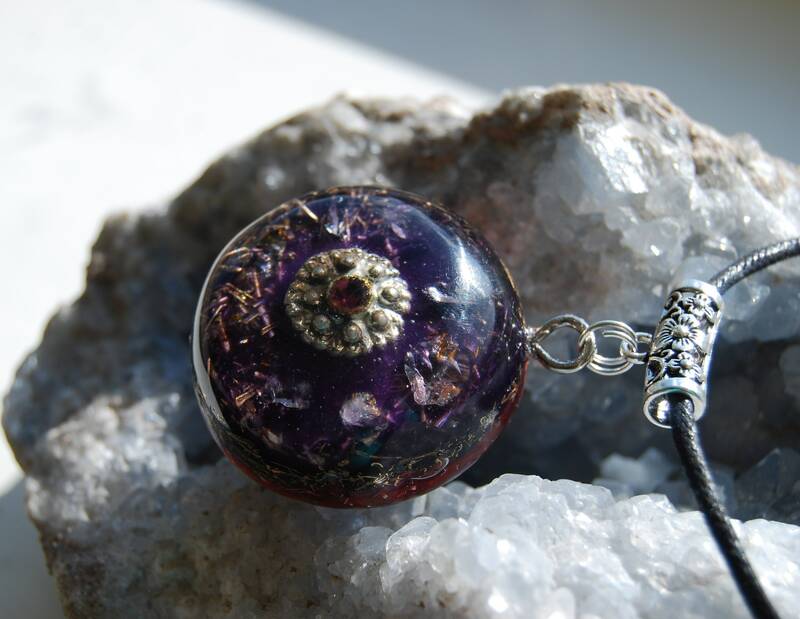 Amethyst was used in ancient times to recover from both physical addictions as well as addictive relationships, and became known as the stone of sobriety. 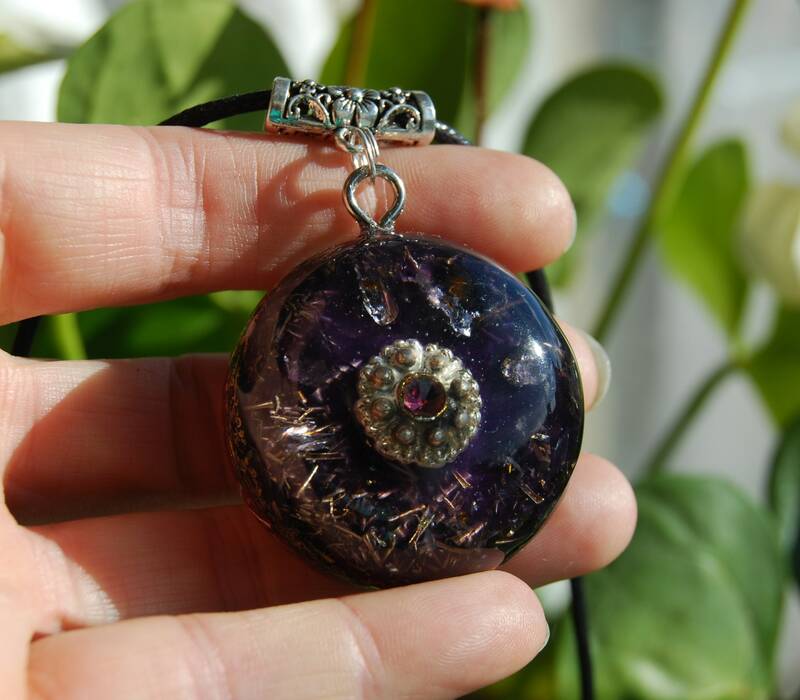 A natural stress reliever, Amethyst encourages and supports inner strength. 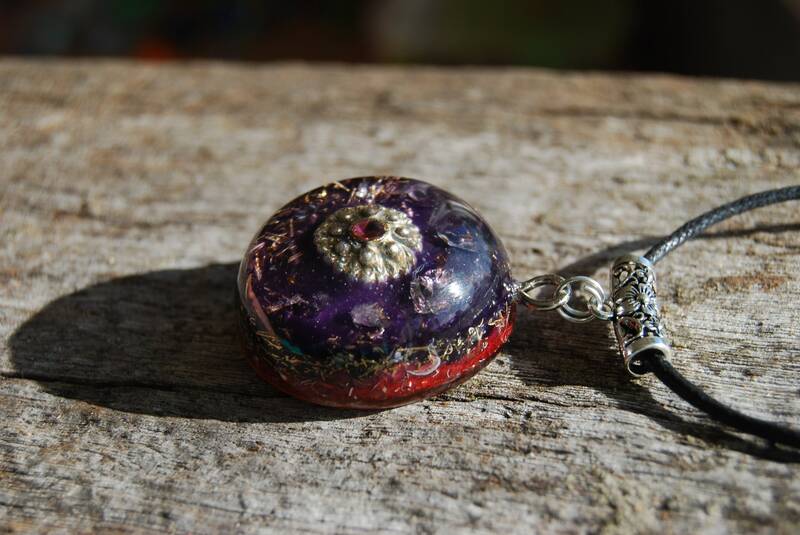 Thank you very much for this special and beautiful pendent I can feel the good energy.